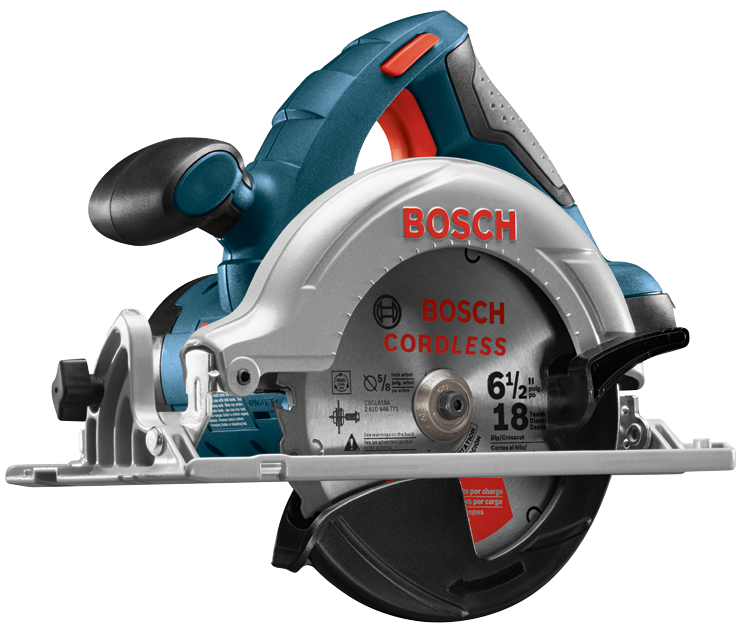 The Bosch CCS180-B14 18 V 6-1/2 In. 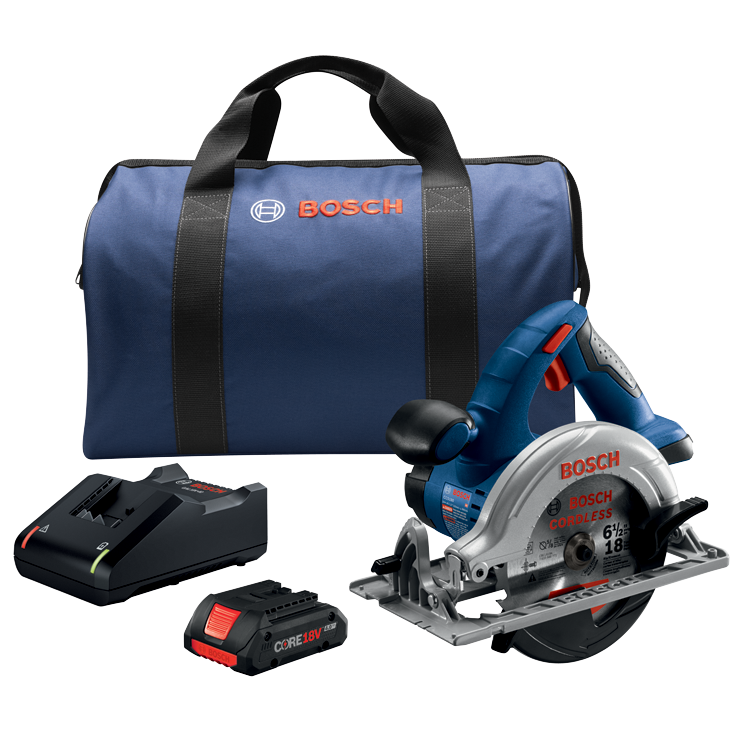 Circular Saw Kit with a CORE18 V Battery features a circular saw that easily cuts through 2 In. material. This powerful tool can easily cut through 2x (“two by”) material across entire bevel range. Its ergonomic main handle that is angled for ease in pushing the saw forward. The saw includes a 50° bevel for versatility, a simple depth gauge and bevel scale, and an anti-snag lower guard to ease into the cut. It weighs only 6.6 Lbs. (tool only, not including battery). The CORE18 V battery is the best-built battery on the planet, with next-gen Li-ion technology that produces 80% more power than previous cells. The battery's CoolPack 2.0 technology provides up to 135% more cooling effect than batteries without CoolPack, and the battery is 100% compatible with all Bosch 18 V Li-ion tools and chargers. In independent tests, the tool and battery made up to 333 cuts in 2x4s on a single charge. The included fast charger charges a spent CORE18 V to 80% ready in only 41 minutes.